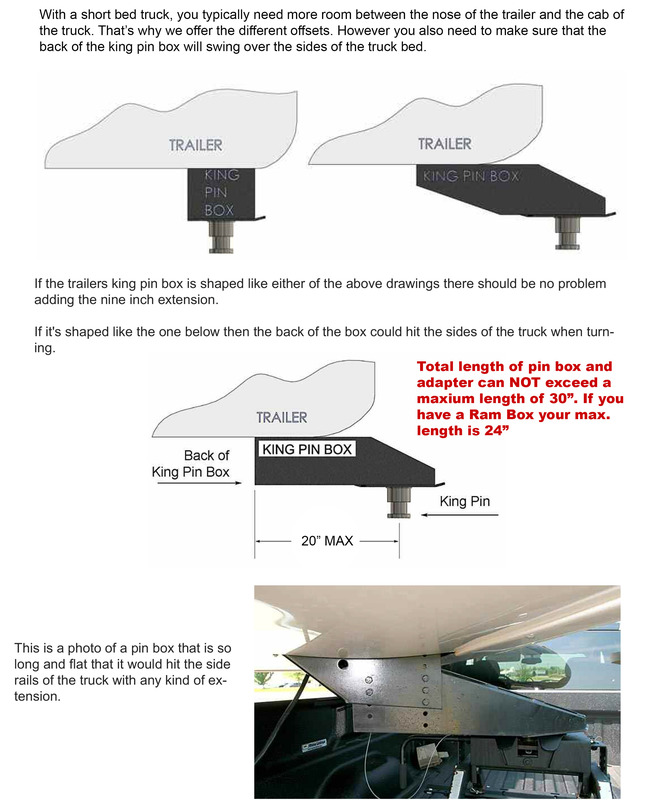 The extended kingpin RV5 adds 10 inches, and the RV55 adds 5 inches of new clearance between your truck and 5th wheel trailer for shorter turns in a strong easy to install accessory. The RV5 adds 3-1/2” of height and the RV55 adds 3-3/4” height to your kingpin box setup. An extra ten inches between the rear bumper and the bulkhead of the trailer makes things easier especially if you’re towing with a short bed truck! In most cases the RV5 eliminates the need for a slider or other more expensive options. An order recieved by noon ships the same business day.